Caroline Kennedy, the U.S. ambassador to Japan, got a firsthand look Wednesday inside the Fukushima No. 1 nuclear plant devastated by the March 2011 earthquake and tsunami. 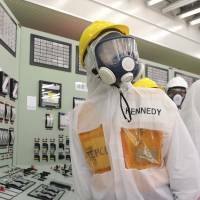 Kennedy, wearing a yellow helmet and a white protective suit with her last name emblazoned on it, toured the Fukushima plant for about three hours with her son, Jack Schlossberg. The plant was damaged beyond repair by the disaster, and continues to be plagued by radioactive water leaks. Decommissioning the reactors is expected to take decades. 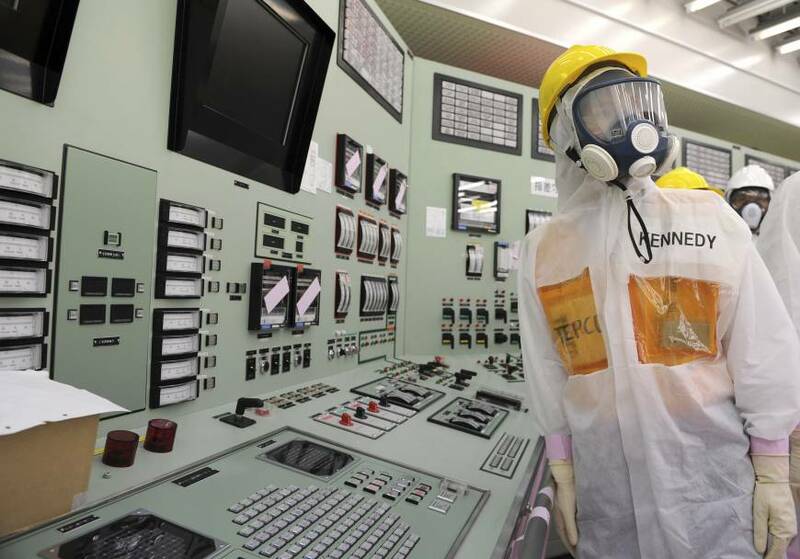 Kennedy visited the Unit 4 reactor building, and the control room for reactors 1 and 2. A guide explained how events unfolded in the control room on March 11, 2011. The reactors shut down, cutting off power after the earthquake, and the operators initially felt the situation was safe. Then the tsunami came, knocking out power to the backup cooling systems. Eventually, three of the reactor cores would melt down.